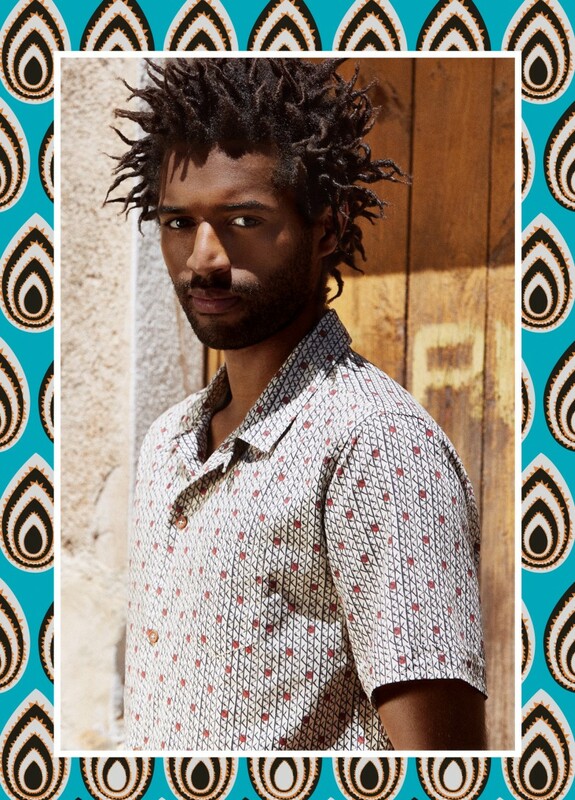 Mango embraces geometric, tropical and tribal-inspired prints for its Tembo collection. 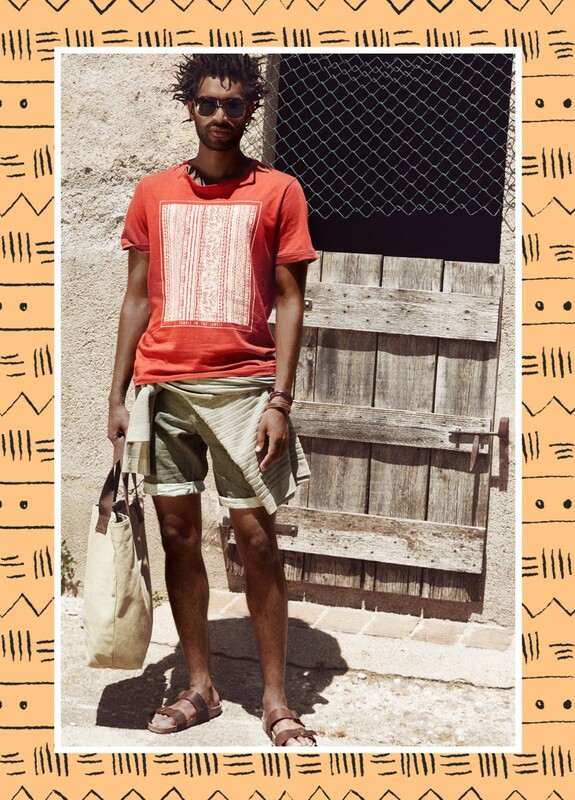 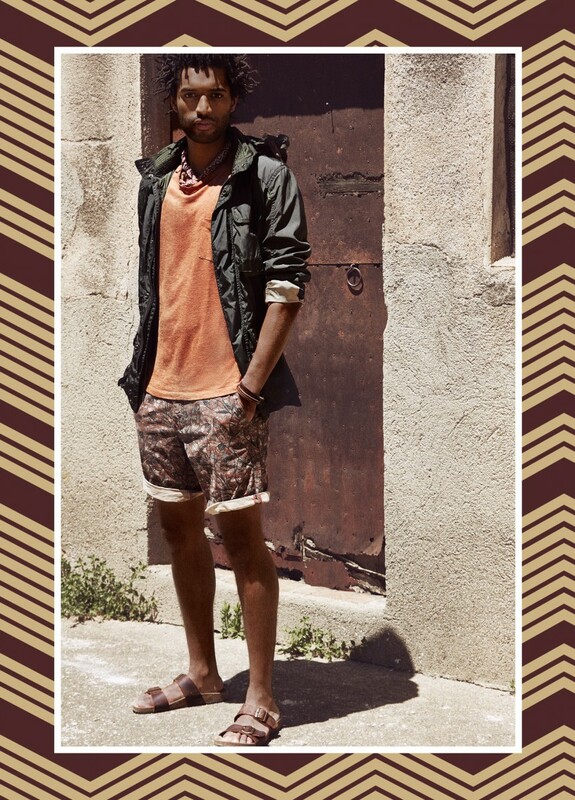 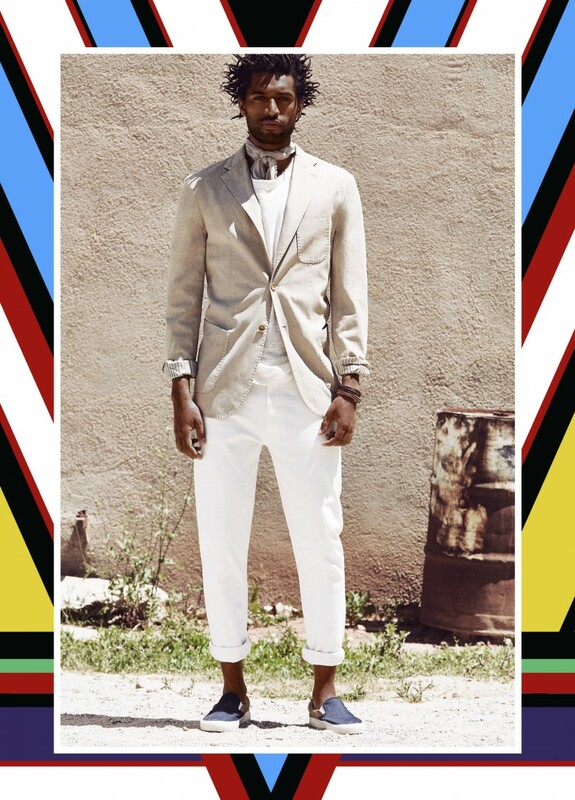 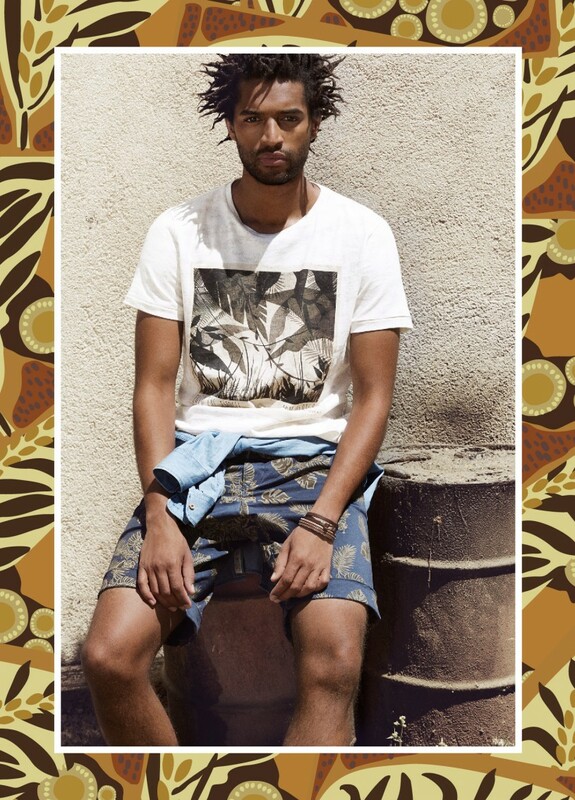 Heading outdoors for a relaxed shoot, Brazilian model Thiago Santos rocks looks from the laid-back range. 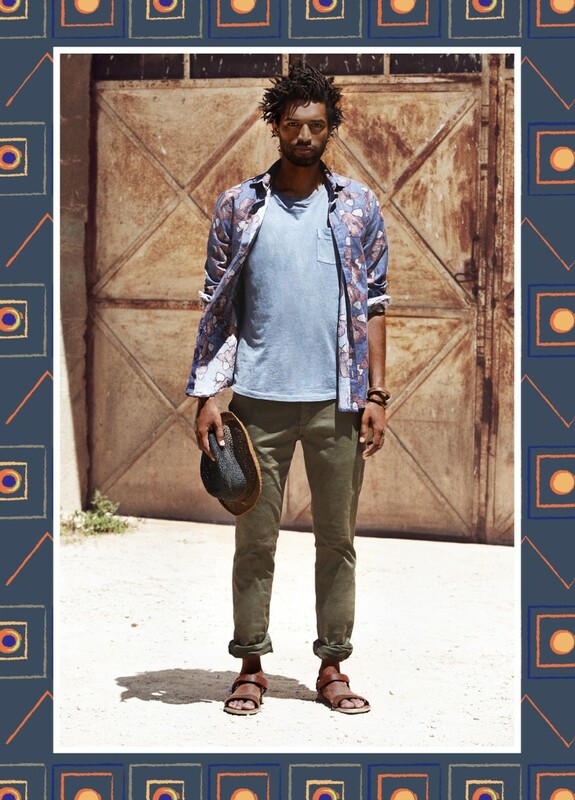 Graphic print t-shirts, cuffed shorts, leather sandals, straw hats and smart earthy hued separates contribute to the contemporary outing.